For a first DUI arrest, the fact that you have no prior record can be particularly helpful in convincing the prosecutor to reduce the charges. Your attorney also can highlight important defenses that may lead to a “not guilty” verdict at trial or a dismissal of the charges prior to trial. First DUI cases are treated differently than other types of misdemeanors in Florida. For many first-time misdemeanor offenses, the prosecutor will funnel the cases into special diversion programs that allow the charges to be dropped after completion. But for drunk driving cases, prosecutors often seek a criminal conviction with at least the statutory minimum penalties and punishments. If you have no prior record you should be particularly concerned with fighting the charges. Besides the direct consequences of the conviction imposed by the court, other indirect consequences will also last for several years, including increased automobile insurance rates and the notice of the conviction appearing in background checks. A Tallahassee DUI defense lawyer can help you fight to keep your record clean. Out of all drunk driving cases, the initial DUI offense is by far the most common. Being arrested and charged with the crime can be intimidating, but the criminal defense attorneys at Pumphrey Law can help. Throughout the years, Don Pumphrey Jr. has represented business owners, members of the military, nurses, health care professionals, teachers, certified educators, college students and graduate students charged with DUI. Let the attorneys at Pumphrey Law put their experience to work for you in fighting drunk driving cases in Tallahassee and the surrounding areas in North Florida’s Big Bend region including Monticello in Jefferson County, Crawfordville in Wakulla County, Quincy in Gadsden County and Bristol in Liberty County. Call (850) 681-7777 to schedule a free consultation with a Tallahassee lawyer. Immediately after the arrest the DMV will begin an administrative action to suspend your driver’s license based on the arrest if you either blew over the legal limit of 0.08 BAC or if you refused to take the breath test. You then can have a DMV formal review hearingto determine if you will lose your driving privileges, and if so, for how long. The State of Florida also will bring an action against you for violating Florida’s laws prohibiting driving under the influence of alcohol or drugs. If you are charged with a misdemeanor, you will answer the charges in County Court. If you are charged with a felony, you will answer the charges in Circuit Court. For many, there is no real downside to requesting an administrative hearing to protect your driver’s license. If you prevail, the administrative suspension will be removed from your driving record as if it never happened and you can continue to drive without any restrictions while your criminal case is pending. The only possible downside to asserting your right to a Formal Review Hearing is that if you are not successful in getting the administrative suspension invalided, then you will suffer a hard suspension for a breath test case of at least 30 days or for a refusal case of at least 90 days. That is a small price to pay for all of the benefits that go along with contesting the suspension. Even if you do not win at the formal review hearing, however, the evidence and testimony gained during that hearing may assist your Tallahassee DUI attorneys in fighting the criminal charges in court. After the first arrest for DUI, the officer will take your driver’s license and issue you a 10-day driving permit. You must file a demand for a formal review hearing within those ten days, or your driver’s license will be automatically suspended for either six months or one year depending on whether you submitted to the breath test or not. A refusal comes with a 12-month suspension. After serving 90 days of hard time, during which you cannot drive for any reason, you should become eligible for a business purpose only license that allows you to drive to and from school, work, the hospital and other events, for business purposes only, for the rest of the 12-month period. If you blew over the legal limit of 0.08 then a six-month suspension could be put in place. After serving 90 days of hard time, during which you cannot drive for any reason, you should become eligible for a business purpose only license that allows you to drive to and from school, work, the hospital and other events, for business purposes only, for the rest of the six-month period. During the 10 days after your arrest, if you retain an attorney to demand a formal review hearing, your attorney can help you obtain a 42-day driving permit so you can continue driving for business purposes while your attorney prepares for the formal review hearing. A maximum jail sentence of six months in the Leon County Jail. If the breath test result was higher than 0.15 or if a minor child was in the vehicle at the time of the stop the maximum jail sentence is nine months in jail. In addition to any administrative suspension imposed by the DMV, the court also is required to revoke your driver license for at least six months and up to 12 months. The penalties could be enhanced in a commercial motor vehicle DUI. After the conviction, most individuals are eligible for business purpose only or employment purpose only driving privileges for the entire period of the court-ordered revocation. In other words, no additional “hard period” of no driving for any reason is imposed, assuming the driver has already completed DUI School. In misdemeanor DUI cases, the judge is required to impose 12 months of probation, with credit for any jail time imposed. However, the court can terminate the probation early if all special conditions are met. The court must impose 50 hours of community service, but the court may permit you to “buy out” a portion of those hours at a rate of $10.00 per hour. The court is required to impose a fine of $500 to $1,000. If the breath test reading was more than 0.15 or a minor child was in the automobile, the court is required to impose a fine of $1,000 to $2,000. In most cases, the judge will impose a 10-day vehicle impoundment unless the court finds that it would be a hardship to another family member that has no other form of transportation. The court is obligated to impose a requirement that the driver complete Level I DUI school which consist of a 12-hour class, substance abuse evaluation and follow up treatment which typically is eight to 12 weeks of alcohol or drug treatment and counseling. Although the court has the discretion to impose the ignition interlock device after a first DUI conviction, the court is only required to impose this condition on a first DUI when the breath or blood alcohol reading was 0.15 or higher or when it is alleged a minor was in the automobile. Even after you have completed all of the terms and conditions imposed by the court, you still must reinstate your driver’s license. For reinstatement, you must show proof of obtaining FR-44 insurance, pay a reinstatement fee of $60, pay an administrative fee of $115 and pay a driver’s license fee. 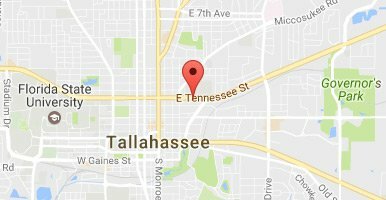 After a first DUI arrest in Tallahassee, it costs $289 to enroll in Level 1 DUI school in Tallahassee if you live or work in Leon County, FL. Visit the website of the North Florida Safety Counsel to pre-register online with a credit card. You can also complete the process for pre-registration by going to the office after setting a registration appointment. If you register in the office, you must pay $275 with cash or money order. If you want to pay with a credit card in the office, you will be charged an additional convenience fee. When you enroll, be sure to pick up the proof of enrollment certificate and enrollment forms. Under Florida Statute (F.S) 316.193(5) and Florida Administrative Rule 15a.10, you must complete an approved 12-hour course and evaluation. Completing DUI school is required for the first offense of DUI, DUBAL (driving with an unlawful blood or breath alcohol concentration), DUI Refusal, DWI, and a DUI reduced to WWRD (reckless driving if substance abuse related). You must also complete Level One DUI school after a conviction for Boating under the Influence if ordered to do so by the court. You might also be required to fulfill this requirement for other types of convictions that require attendance in an alcohol / substance abuse education program. A DUI arrest can be an intimidating experience. You should not have to go through the process alone. Contact a criminal defense lawyer in Tallahassee after a DUI arrest in Leon County. Pumphrey Law has represented clients facing a variety of drunk driving charges, and the attorneys can help you fight for the best possible result in your case.